 Michigan Student Life is committed to student learning and the development of the whole student in a diverse campus community. Through our programs, services, facilities and partnerships, we facilitate students' transformation and enrich their education. With more than 40,000 students on campus, Michigan can be an intimidating place. From Greek life to residence halls to student organizations, we create communities that make Michigan feel more personalized and connected. WE PROVIDE STUDENTS WITH REAL WORLD LEARNING OPPORTUNITIES. Students spend about 14 hours in the classroom each week. At every moment in between, Student Life is there to further their learning. We help students acquire the practical skills needed to apply their world-class education to solving worldwide problems. WE CHALLENGE STUDENTS TO DISCOVER AND PURSUE THEIR PASSIONS. We introduce students to new ideas and causes, expanding their worldview and developing a strong sense of civic responsibility. With this backbone of support, students leave campus confident in their abilities to lead change across the globe. Transformative Learning Experiences: We strengthen existing and initiate new opportunities to enhance student learning and development. Community Development: We build community and foster an environment that respects and appreciates the value of both differences and similarities, which supports the well-being, safety, growth and success of all community members. Social Justice Education and Intercultural Development: We develop a deeper understanding of diversity, social identity and privilege as they relate to ourselves and others, and educate ourselves and students in order to create a more global, socially just and inclusive campus and world. Health and Well-Being Education: We enable students to learn and practice immediate and lifelong behaviors that promote positive physical, emotional, social, intellectual, environmental, financial, occupational, mental and spiritual health and resilience. Leadership Education and Personal Development: We enable students to learn about, reflect on, and practice skills and behaviors, and develop values and beliefs that enable them to lead and succeed during and after their university experience. We develop ethical leaders and citizens who create positive social change in an inclusive fashion. Student Intervention, Support and Advocacy:We resolve issues of significant complexity presented by students through our advocacy, services, and compliance. Essential Services: We maintain facilities, create inclusive spaces, provide services and promote programs that are responsive to the physical, social, psychological, academic, and recreational needs of the campus community. We plan, implement and evaluate quality programs and experiences that manifest student learning, development, access and academic success. We share a commitment to these areas in all Divisional work, especially through student-centered educational offerings, administration and services positively impacting students individually and collectively. We assume complete ownership for our duties, responsibilities, and actions. We approach our work with an understanding of our areas of influence, cognizant that the work we do individually and unit-wide impacts others within the Division, University, and broader community. We recognize our limits while imagining our possibilities. We serve as stewards of our resources, act within an ethical framework, value environmental sustainability and meet the needs of our multiple constituencies as we keep students at the center of our work. We utilize teamwork, partnerships, cooperation and structural collaboration to achieve synergy and positive results in our work. We work together and effectively utilize resources to provide students with high quality education, services, programs, facilities, and resources. We recognize and respect social identities that are different from our own and those of the groups to which we belong. We develop and promote awareness of, and educate ourselves and the community, about identities such as race, ethnicity, national origin, religion, gender identity, sexual orientation, socioeconomic class, and disabilities. We actively participate in the creation and sustenance of equitable communities that affirm and value all members. We operate from an ethical frame of reference. We adhere to a standard of conduct which is consistent with the overall values of our Division and the University community, and act on our conscience, behave with honesty and fairness, promoting justice, admitting errors, and acting in alignment with our asserted mission, principles and values. We do quality work, provide outstanding service, continually develop our staff, and achieve excellent results that meet the needs and exceed the expectations of those we serve by using healthy, developmental, and dynamic approaches. We believe a healthy approach is supportive, balanced, and flexible; a developmental approach is inclusive of lifelong learning, risk-taking, balances challenge and support, and professional judgment and leadership; and a dynamic approach is energetic, creative, passionate, respectful of differences and enjoyable.